With its high-rise architecture and coastal location, Dubai abounds with extraordinarily scenic dining venues. And these eateries don’t just stand out for their views; the city’s best restaurants also offer accomplished fine dining plates from internationally renowned chefs, and sumptuous interiors that are ideal for long, leisurely meals. 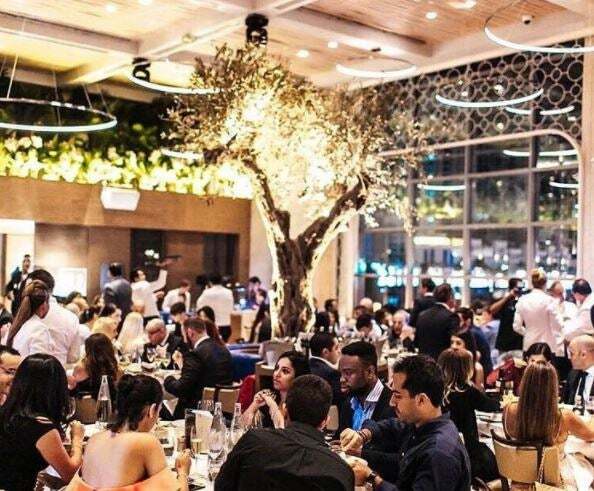 These are the most romantic restaurants in Dubai. Having been named Dubai’s most romantic restaurant in the Time Out Dubai Restaurant Awards for four consecutive years, Pierchic at the Jumeirah is the eatery many people consider first when they’re booking a romantic meal. Situated at the end of the pier of Al Qasr Hotel, the restaurant affords uninterrupted views over the Arabian Gulf, with space for al fresco dining. The menu encompasses Modern European seafood plates showcasing premium ingredients such as caviar and lobster, with a five-course tasting menu that brings together the chef’s signature dishes. The Peruvian restaurant Inka is located on the 31st floor of the hotel Sofitel Dubai Downtown, and therefore commands views over the city and across to the iconic Burj Khalifa, through the restaurant’s floor-to-ceiling windows. 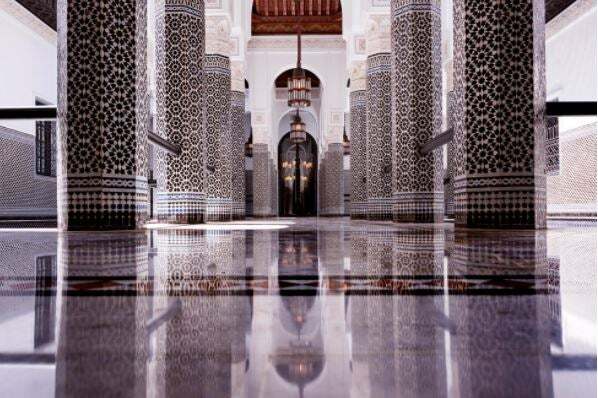 The interior, meanwhile, fuses Art Deco with contemporary design, with a spacious dining area, lounge and long marble bar. The menu of modern Peruvian cuisine brings international ingredients together with classic Peruvian fare to deliver refined fusion plates. Pair these with the bar’s elegant cocktails. Situated inland, Thiptara sits alongside Burj Khalifa Lake. And it’s these over-water views that draw many people in. The interior then combines elegant contemporary design with Thai furnishings from hanging lanterns to oriental patterns. Royal Thai cuisine, with an emphasis on Bangkok-style seafood, is served up in the stylish interior and outdoor space of the restaurant, which as a part of The Palace Downtown Dubai hotel, overlooks the Dubai Fountain. Another restaurant that stands out for its views is 101 Dining Lounge and Bar of One&Only The Palm Resort. 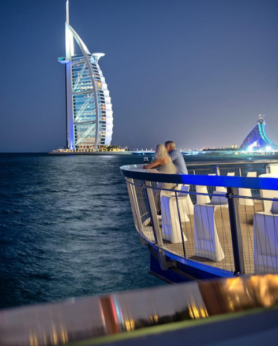 From the Skyline Deck of the hotel’s private marina, diners can take in the sparkling views of the Dubai skyline as it lights up after sundown. From the contemporary chic interior, al fresco seating spills out onto a stylish over-water lounge. And it’s here that guests are served light Mediterranean cuisine of tapas and fresh seafood, followed by excellent cocktails. 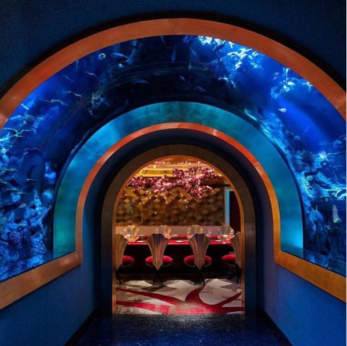 From over-water views to an underwater setting, Al Mahara restaurant stands out for its unique wall-to-ceiling aquarium. Within these atmospheric surroundings, diners tuck into the accomplished cuisine of award-winning British chef Nathan Outlaw who specializes in seafood. The chef’s signature dishes include crispy oysters and caviar with cucumber and oyster sauce, and lobster risotto with orange and basil. Tucked between golden shores and verdant gardens, The Beach Bar & Grill at One&Only Royal Mirage offers an idyllic view over Palm Island Bay, which is especially striking as the sun goes down. In this setting, guests dine on seafood platters of fresh lobster, prawns, oysters and clams with an ambiance created by soft candlelight. 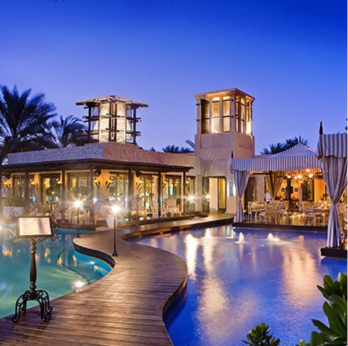 Also a part of the One&Only Royal Mirage, Eauzone overlooks the water of both the Arabian Gulf and the serene pools the restaurant is surrounded by, with a tropical ambiance created by the sandy shores and surrounding palm trees. Guests can dine on the wooden decks of this intimate, open-sided eatery, selecting modern plates from the menu of Asian-inspired cuisine, from lobster and scallops with black bean sauce, to grilled lemongrass beef tenderloin. Vote for the Top 100 Restaurants in the world by following this link.